The Knoxville Hospital and Clinics held their Men’s Health Expo on Wednesday. 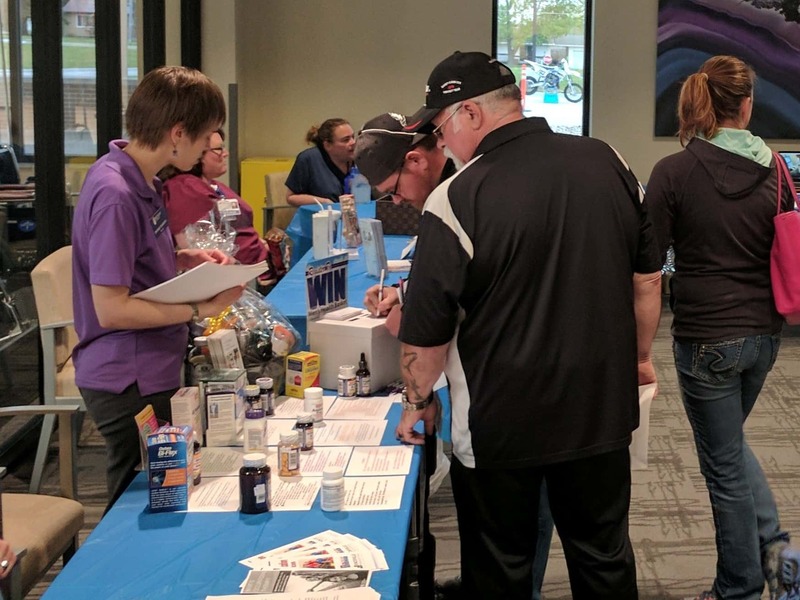 The event featured free blood pressure and skin cancer screenings as well as display booths from various parts of the hospital which gave the men in attendance a chance to learn more about health risks specific to men. The Marion County Sheriff’s Office as well as Knoxville Police Department were there giving attendees information about gun safety as well as giving people a chance to attempt a sobriety test while wearing glasses that simulated different intoxication levels. Sprint Car driver Joe Beaver and his Beaver Motorsports Sprint Car were on display along with the Kincaid family motocross bikes. Owner of the Kincaid family motocross bikes and Knoxville Hospital and Clinics CEO Kevin Kincaid tells KNIA/KRLS News the expo is a good chance for people to get together in a casual setting and learn more about the hospital while checking out sprint cars and dirtbikes. The expo also featured presentations from Dr. David Kermode on colon health, former sprint car driver and prostate cancer survivor Skip Jackson, and Dr. Todd Peterson on joints and knees.